October brings thoughts of fall and festivals and unless you live in Florida, cooler weather and the changing of seasons. October is also breast cancer awareness month. Recently, Julia Louis-Dreyfus announced that she has breast cancer. She posted on her twitter account, “1 in 8 women get breast cancer. Today, I’m the one.” On July 8, 2016, I also was the one, having received the dreaded news that I had breast cancer. That is why I want to take this opportunity to talk about the importance of this topic. Years ago, we didn’t speak about breast cancer. As a matter of fact, some members older generations whispered the word “cancer” as if somehow saying the word aloud would bring on this dreadful disease. While I am not a medical professional, I can only speak from personal experience, and it seems appropriate to discuss this during breast cancer awareness month. Breast cancer impacted every aspect of my life and that of my family. And at some point during my journey, I began to look for and find rays of sunshine through the darkness! And there were countless rays of sunshine, including my work life. Work helped me to have a reason to get out of bed during my treatment and to experience some normalcy. And my work family couldn’t have been more supportive during this journey. In fact, last October, Wetherington Hamilton, P.A. 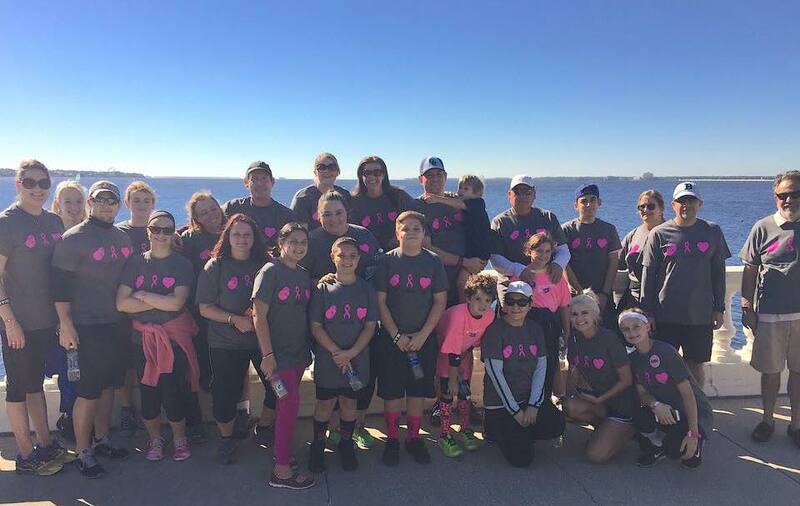 sponsored a team with almost 60 members for the Making Strides Against Breast Cancer Walk in Tampa, raising over $2,500.00 to fight breast cancer! I want to remind women to be diligent, to do their self exams, to have mammograms, to discuss their personal situations in detail with their physicians. Ask questions! Should I have an ultrasound along with the mammogram? Should I have other testing? Why is this important? As I stated, I am not a medical professional. From personal experience, I can say that mammograms are not the end all! My breast cancer did not show up on my regular screening mammogram or my diagnostic mammogram after I found the lump! That is why self exams and communication with your physician are critical! October is breast cancer awareness month! Please be aware and take the necessary steps to protect yourself! Wetherington Hamilton, P.A. joins me in asking everyone to be aware so that early detection, and one day a cure, can be a reality.